Our success relies heavily on the success of our customers. Maple Room is specialist in accommodation for B2B market. 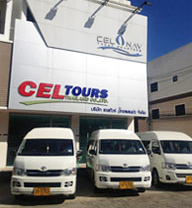 Cel Tour Thailand C., Ltd.
CEL TOURS THAILAND Co.,Ltd. is an Inbound Tour Operator based in Phuket, Thailand and established in 1996. Our company has been providing hotel accommodation, land arrangements and excellent services for travelers from many different regions and countries. We specialize in the Cypriot, Greek & French markets, as we have strong business relationships with major Tour Operators in both countries. Gotophuket.com is attractions, trip ideas, tours and activities marketplace with more than 100 listing things to do around the Island. 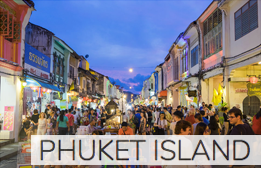 We collects and categorises all the Phuket's things to do so you research less and do more. Our goal is to make it simple for you to find and book an activity that will make your vacation. 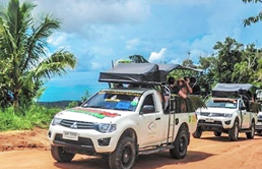 We hand-pick professional local guides and local suppliers to ensure that you’re safe and sound while you’re out having fun.